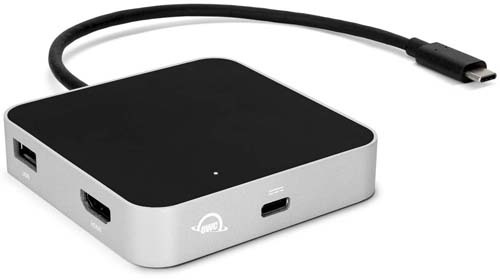 OWC USB-C Travel Dock is a portable USB-C dock that adds ports and connectors to a computer’s USB-C port. It adds two USB 3.1 ports, HDMI, SD Card and a 60W USB-C passthrough power port. The dock is available in four colors: gold, silver, rose gold, and space gray. My test unit came in space grey. The HDMI port supports a 4K display. The dock is compatible with Windows and Mac OS. 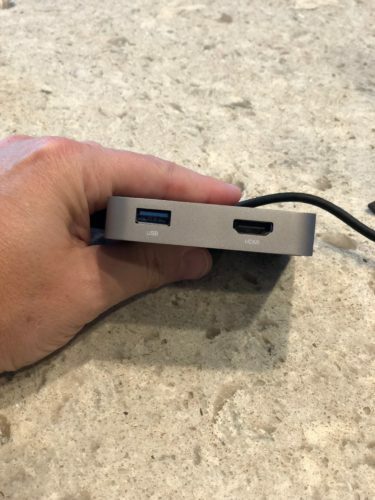 To get started, plug the dock into an available USB-C port on your computer. 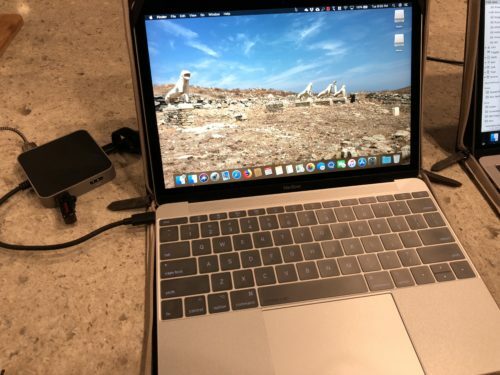 You can plug a power adapter up to 60W into the dock to power up the computer while you use the dock. The USB 3.1 ports worked well with flash drives and had no issues transferring data back and forth. Charging an iPhone or iPad using the dock’s USB 3.1 port worked fine also. The SD card reader was able to move data around with no issues or glitches. HDMI video works like a charm and looks good on my display. The dock is fully compatible with Windows if you use Boot Camp or have a Windows laptop. In a sea of hubs, adapters, and docks for USB-C devices, it’s hard to pinpoint which ones are better than others. OWC / MacSales makes very attractive and versatile products. This travel dock is no exception. 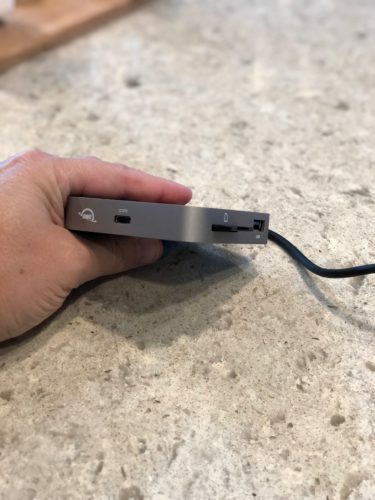 As with most of their products, OWC USB-C Travel Dock looks like it could have been made by Apple. It’s solid, light weight, and has a nice blue power indicator on top. The brushed metal on the sides with the color on the surface looks like it matches the MacBook’s appearance perfectly. I have tested cheaper USB-C hubs and docks and for the most part, you get what you pay for. Sometimes they don’t charge properly, sometimes the USB ports stop working. 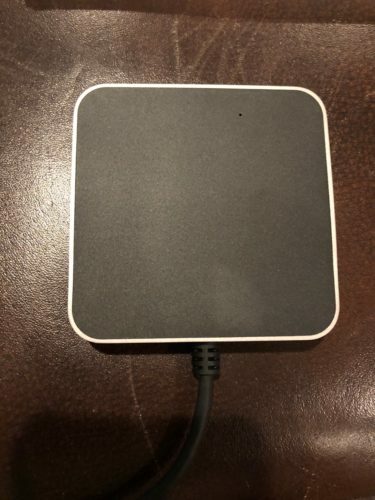 For the price, its well worth having this well built, reliable and super affordable dock in your computer bag when not using it to extend the limited ports on a MacBook. MyMac Review Rating is 9 out of 10. An attractive, well built, and functional USB-C travel dock. Looks great with the MacBook and travels well.